Lanie and Stedman are high school sweethearts and coincidentally, Isaac and I also went to high school with them! We didn’t really know either of them back then (and we graduated a year before they did), but when Isaac and I met them in Columbus this past weekend for their engagement session, we instantly knew that we would love working with them. We wandered around German Village and couldn’t have asked for more beautiful fall colors from the trees. 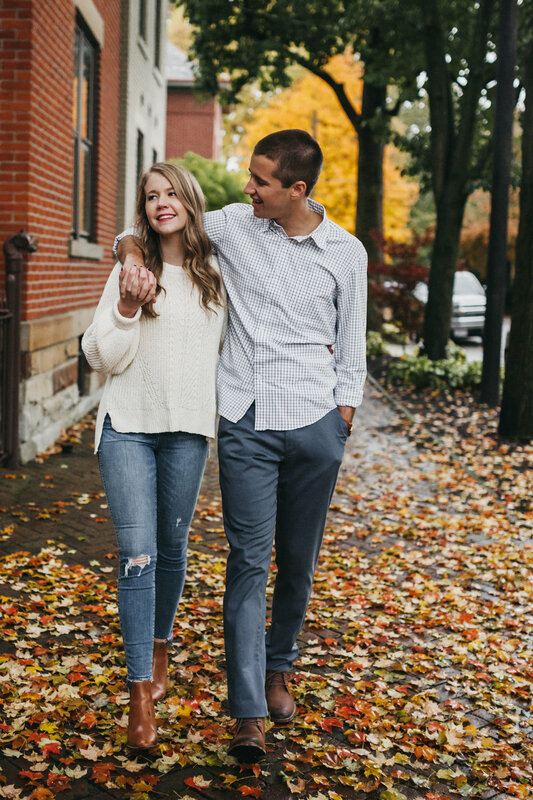 Despite the cold weather and a little bit of rain here and there, Lanie and Stedman looked flawless and we laughed our way through the entire session. We are so excited for these two to tie the knot next September and to capture their special day!